118 islands. 150 canals. And 417 bridges. This is what makes up the most beautiful city in the world. While Paris may be the city of love, Venice stole my heart the first time I ever visited. From the gondoliers and bridges to the markets and masks, Venice is a time warp of friendly people, tiny alleys, and sinking buildings all surrounded by blue water and matching skies. 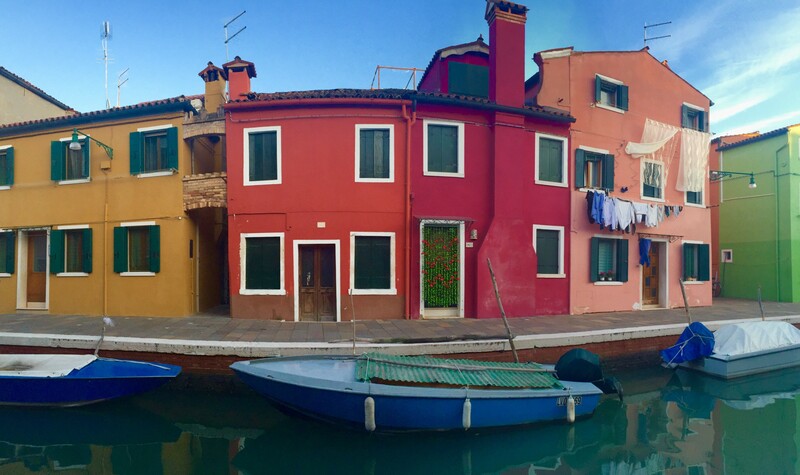 While a trip to Venice wouldn’t be complete without market hopping through the San Polo streets or strolling through the famous San Marco squares, an excursion to Burano is a must for all when visiting Venice. Just a short ferry ride away, Burano is a picturesque town of colorful houses, delicious Italian cookies, and spools and spools of lace. Originally home to the lacing school of Venice, Burano is the suburbia of the city and with it’s cheerful look and quaint charm, it’s become the perfect escape from the millions of tourists on Venice’s main islands. With just a short stroll through Burano, I saw the most beautiful homes, picked up a few homemade anisette cookies from the Carmelina Palmisano bakery, and ran into the oldest living traditional lace maker, Emma Vidal, who at ninety-seven still uses original lacing techniques without any glasses! From the people to the pastries, I would have never seen the most cheerful island in the world if I hadn’t stopped wandering across the Rialto bridge and mingling with tourists and pigeons under Saint Mark’s Basilica; the most memorable moments are the ones away from San Marco’s square, or the Colosseum, or the Eiffel Tower, or the London Eye. So, whether in Venice or not, venture out of city centre, meet the locals, and maybe if you’re lucky you’ll meet an Emma Vidal too.